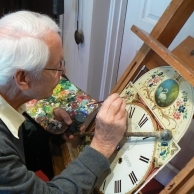 This is our main business and we pride ourselves in offering the highest possible quality of clock restoration service in a friendly and efficient manner. We have only our reputation of excellence to thank for our longstanding and, more importantly, happy, large client base. As the area's only Barometer Specialists we offer a complete repair and restoration service for all mechanical (Aneroid) and mercurial barometers. New bevelled glasses made and fitted on the premises. 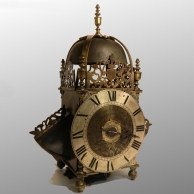 Not only do we repair and restore clocks and barometers but when required, we also carry out Conservation work and advise on Horological Conservation. 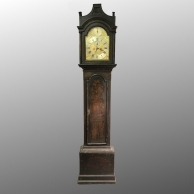 Have you a mechanical clock to sell? We offer a comprehensive buying service that benefits you because you receive immediate payment and do not have to pay expensive auction fees. 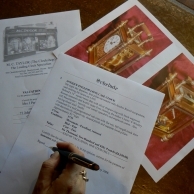 Gilding & Horological Metalwork from M.C. Taylor is renowned for its craftsmanship. 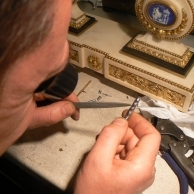 We offer a highly skilled range of traditional services covering every aspect of horological metal work. This page is dedicated to the memory of Terry Kirby. He was a true craftsman, dear friend and his death has meant a great loss. 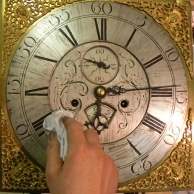 Dial work from M.C. 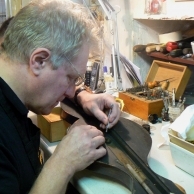 Taylor is renowned for its bespoke and traditional restoration and replication. 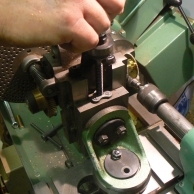 Case restoration and Cabinet Making from M. C. Taylor is renowned throughout the UK for its sympathetic and accurate restoration and replication.